Found this article – the books looks good. 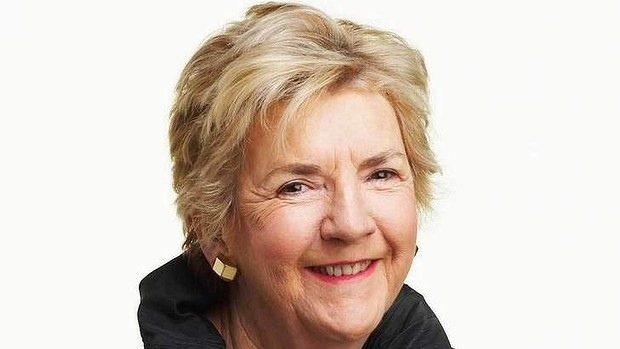 “We need to be respected as individuals, have the ability to reinvent ourselves, our work and purpose, and have access to good medical advice.” … Author Patricia Edgar, 76. Patricia Edgar. Text. 272pp. $40. A friend of mine retired at 62 and bought a piano on which he intended to learn to play properly. This didn’t happen. Year after year, he looked at the lovely instrument, full of regret but sure it was pointless to start learning. His three siblings and parents had all died early of heart disease, so death was surely keeping a close eye on him as well. When he was 89, he gave the piano away. He died at 93. Chuck Berry, (guitar, not piano), should be referenced here: ”C’est la vie said the old folks/ It goes to show you never can tell.” Patricia Edgar, in In Praise of Ageing, disagrees with Chuck Berry’s old folk. She believes you CAN tell. You can pretty much tell your older age by the way you live your younger years. Or, as Edgar prefers to say, the first half of life. She does not enjoy the term old age, with its implications of burden and helplessness. She has a point; in a youth-worshipping society, getting old is grotesque. Yet the truth is that people over 90 are the ”fastest growing population group in the country”. Edgar, 76, has turned her vexation at being reshelved as ”old” into an argument about the uses and pleasures of getting old. Her own vigorously lived life has been superbly useful as a sociologist and educator, mother and grandmother. She has joined the lengthening list of people writing a reconsideration of life from the vantage point of the famous long view. Daniel Klein’s excellent, low-key Travels With Epicurus is perhaps the best known. Unlike Edgar, Klein favours acceptance and philosophy, rather than argument. It is puzzling that Edgar doesn’t mention Klein, because she describes academic William Miller’s Losing It as ”blackly funny and erudite”. Is this the same book I found an unreadable mess? 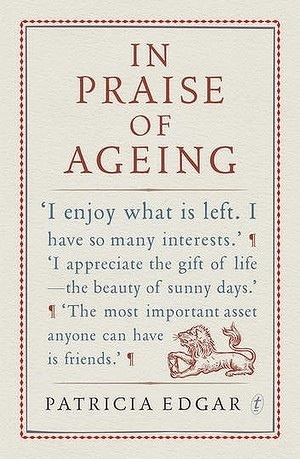 In Praise of Ageing has eight biographies of those who have reached their late ’80s and ’90s or more who lead admirable lives. Edgar is especially incensed about the economic theories that predict old people will destroy the economy and she makes a case against this presumption. She challenges many other accepted theories as well, some of them surprising and long-held. The disturbing fact is centenarians all tend to be lovely people, while unlovely neurotics die young(ish). Only the good die young? Pshaw! These potted biographies illustrate everything that research is discovering about ageing well. They have all led lives actively contributing, rather than passively accepting. Optimism, and – charmless term – positiveness kept them going. One other thing is remarkable; money never seems to have been a real problem to any of them. This week yet another global study identifies money as the major factor in staying healthy and staying alive. This book needs more diversity than a study of the author’s friends and relations. Her suggestions to live the later years well are queerly blinkered. ”We need to be respected as individuals, have the ability to reinvent ourselves, our work and purpose, and have access to good medical advice.” Sure. Who’d disagree? Discuss and analyse with your Big Issue seller.